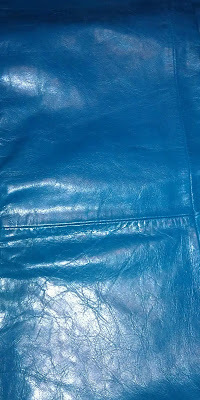 I had a pair of teal leather pants in the closet. Why would I have teal leather pants? I can blame it on my odd teenage years. I only wore these pants one time. Instead of trashing them, I decided to have fun. 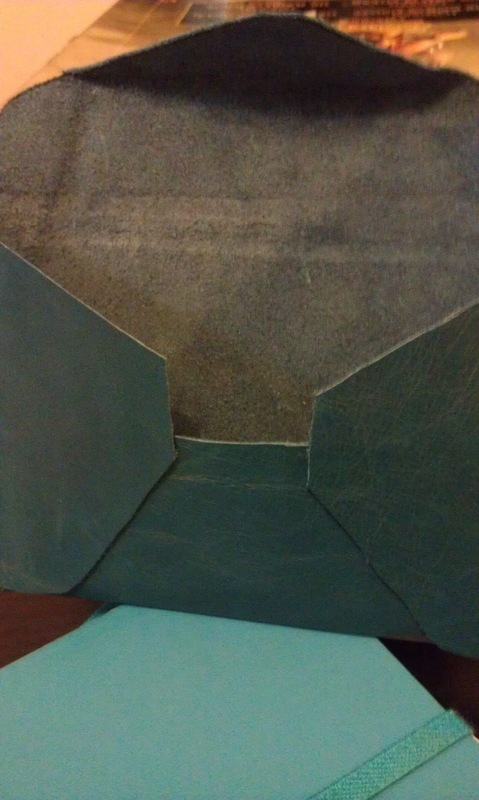 What could I make with leather? Upcycle time! I love upcycle craft projects. My first and super quick item that I made was a bookmark. 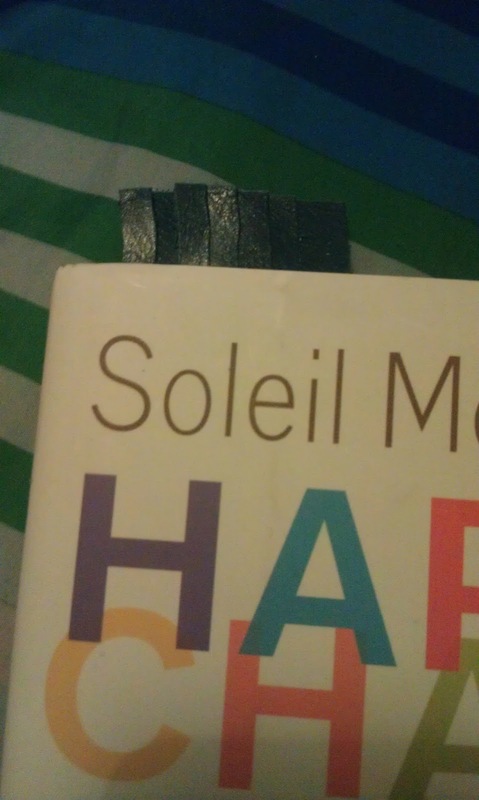 I don't have any bookmarks around. Usually I just grab a piece of paper to mark my spot. Cut out a rectangle shape and fringe the end. It only takes a minute to do this and I think it looks nicer than scrap paper. Next I made a simple pouch. I took an old envelope and opened it up to use for my pattern. 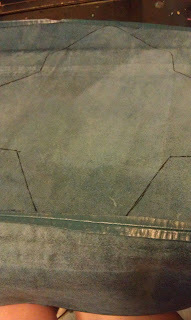 Traced it onto the back of the leather. Then I cut out the pattern. 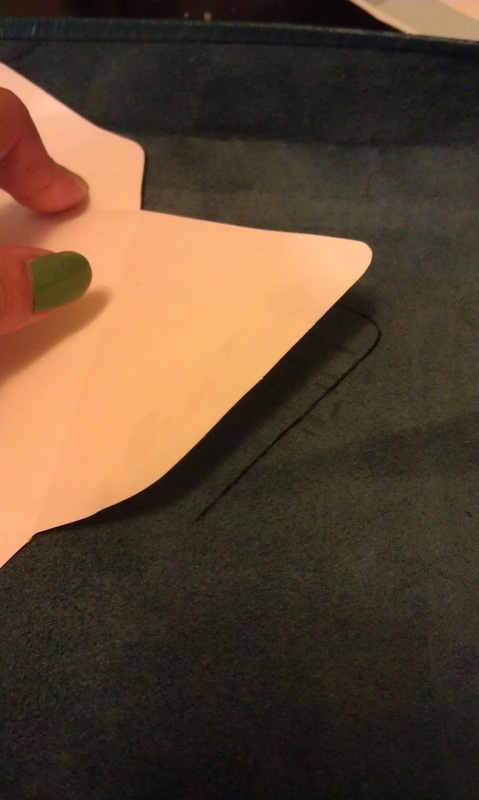 Folded it and used a no sew tape to hold it in place. 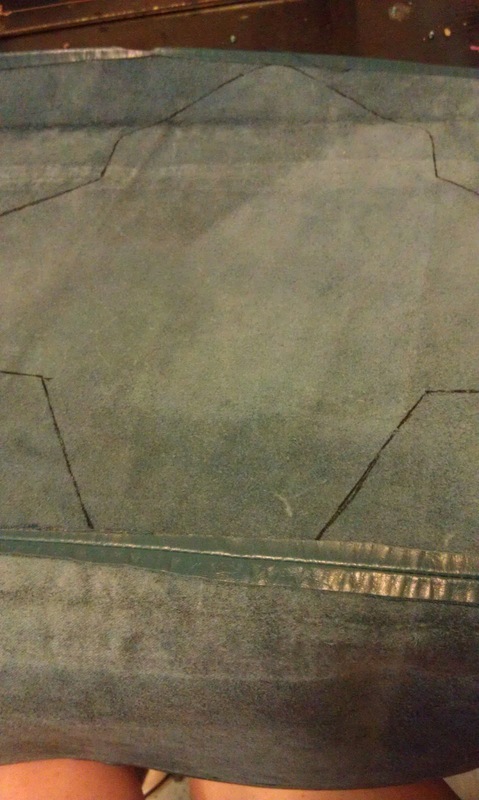 Not sure how durable the no sew tapes are but so far, so good. I still need a snap or screw back for the closure. Overall, it is simple to do and you can use different patterns to change the look of the pouch. I still have a leg left of the leather pants. I might make some fringe key chains and even some leather bracelets. It might have been a poor color choice when I was a teen but it looks better for accessories. Did you ever find a piece of clothing in your closet and wonder "what was I thinking?" What else do you think I should make?